Members of your team may find themselves occasionally needing to call a contact that does not have a Contact Record in Infusionsoft. In order to archive important call data in the call note records, we recommend creating a special Contact Record just for manually dialed calls. 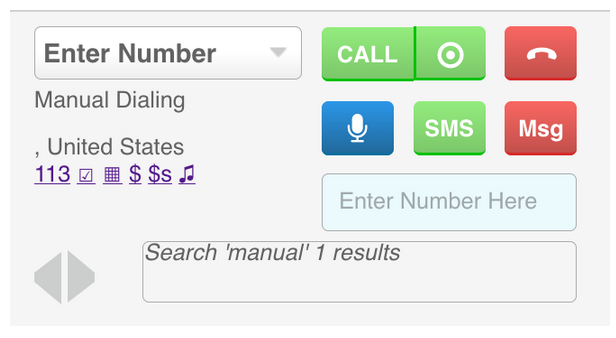 When a contact needs to be called that does not have a Contact Record, “Manual Dialing” can be brought into focus on the turboDial Panel, and the number can be entered in the “Enter Number Here” field. Now, an automatic call note will then be stored when the call is complete. The special Contact Record, “Manual Dialing”, will hold the notes for all the manual dialed calls that are made.